When you need a plumber, you need one NOW. Master & Sons Plumbing understands this and provides expert plumbing services immediately – any time, any day – for the greater Richmond, Virginia area. 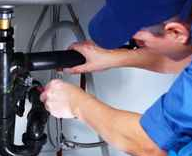 Locally-owned, we are experienced plumbers who are also your neighbors, and we take pride in providing top-quality work at affordable prices to local home and business owners. We perform services ranging from drain clearing to pipeline relocating, leak detection to sewer repairs. Our owner has over 30 years of experience in the plumbing and construction industry and proudly offers bathroom remodels plus restoration services for older and historic buildings. We are currently the third generation carrying on the tradition of providing great service at a great price, warrantying our work and guaranteeing your satisfaction. Landlord? Realtor? We provide plumbing services tailored to property management. 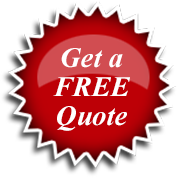 Whatever your plumbing needs, please contact us today for a FREE consultation and estimate. Your plumbing system can be a great asset or a giant headache – sometimes both in the span of one day – but it is a necessity. Don’t trust its repairs and service to just anyone – let the Masters do it right! After working over 30 years in the Plumbing & Construction service trades, I started my own shop in 2005 called Master & Sons Plumbing to better serve my customers Plumbing, Drain Cleaning & Construction service needs at approximately a 25% savings. I pay no franchise fees or have unfair mark-ups, so we can keep the job cost down. I honor all of my warranties and treat your home or business as my own, and that has continued with my staff and sons.